Another trail was born...is the newest trail that we've discovered two years ago and we started to organize and offer last year! For us was an amazing experience and our intention is to share with you! Is an in-line trail and we have called TransApuseni because it crosses 2/3 part from Western Romanian Carpathians. These mountains are special for us, because Apuseni Mountains are different, unique in our country, with many karst; here the nature and the inhabitants - named "Moți" have been living in a perfect symbiosis from the beginning. You will be charmed by there unique way of life who is still a long row of traditions, by the specific architecture and local customs. You will cross 6 different mountains, part of Apuseni, from south to north in one week; it will be not only a crossing, it will be a discovering trail, where you'll discover ancestral traditions, unspoiled areas, mountain villages forgotten by time, beautiful gorges, ice caves. Private transfer from airport (Timișoara, Bucuresti, Sibiu, Cluj-Napoca) to Ampoița, close to Alba Iulia. 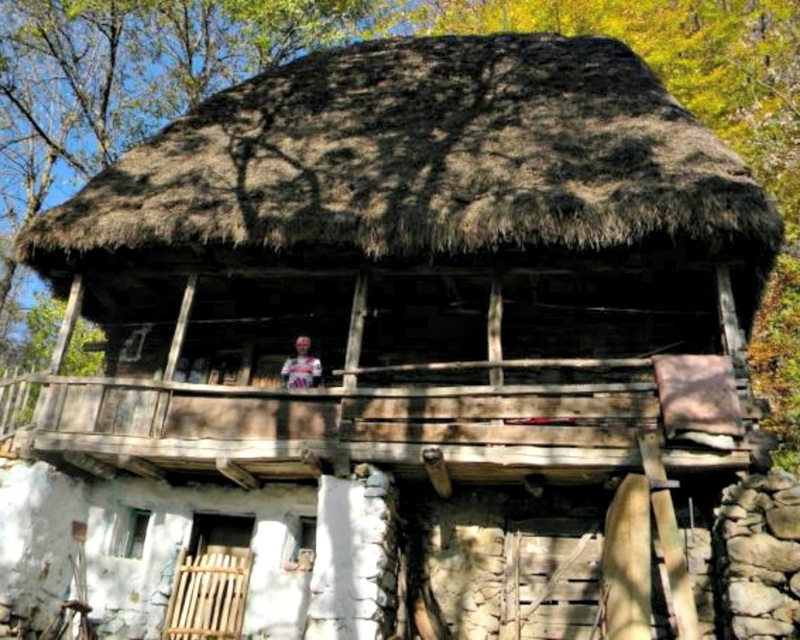 Ampoița is a small village situated at 12 km from Alba Iulia and is one of the most charming, quiet with beautiful gorges, caves, impressive landscape, unspoiled forests from these area. Just for fun you can try with our guide, to climb one of limestone rocks named Calcarele din Ampoița, famous among climbers. Overnight in a guesthouse where you can taste the traditional bio food. First trekking day...from the beginning we'll be in the middle of an unspoiled nature, in our way we'll cross gentle hills and deep valleys, we'll meet happy and simple people who still live like fifty years ago! Here the trails are gentle...we'll visit a small village without inhabitants named Cheia and after that we can traverse the Râmeț gorges-a really one hour and half pure adventure! Overnight in a local guesthouse close to forest. The second day we'll continue our crossing till in the place where Arieș river separates Apuseni mountains in two parts. In our way we'll visit Roșia Montana-a small village who has a millinery existence and is one of the oldest settlements in traditional precious metals(gold) operation in Europe. A unique feature of the landscape is the presence of numerous artificial lakes called "tăuri". These lakes were originally created for the mining and use today for recreational use. With the advent of the controversial mining project in Roșia Montana, specifically with the start of 1997 gold exploration, tourism projects have been virtually removed from the agenda of local authorities. Today is a struggle between the "pro and contra" mining. A lot of organizations support the rural tourism, with specific activities (livestock accompanied by subsidies, collection of forest fruits, woodworking, etc.). The mining project can be very dangerous-mining with cyanide represent a huge risk in the Apuseni Mountains and is possible even a massive depopulation of all areas. In the third day we'll start with uphill to Muntele Mare. Our goal for today is to arrive in Băișoara-a famous ski resort from these area. A long ascent followed by a beautiful crossing on a huge plateau close to many sheep-folders, lakes, forests. We are far away from civilization and this is very impressive. Overnight in a guesthouse in Băișoara. From Băișoara we are going towards to Garda and we'll visit Scărișoara Cave- one of the largest ice caves in Romania. Declared a natural monument and a speleological reservation, the cave (situated at 1150 m altitude) is famous for its glacier that is older than 3000 years. The area of the glacier is 5500 square m and the ice layer alternates between 26 and 37 m in thickness. Impressive landscapes, nice trekking trails! From Garda village we'll take a route to our last day...we'll cross the Galbena Gorges with her karst spring who represents the resurgence of the underground river from the Fortress of Ponor cave, which is the collector of the waters flowing through the closed basin of Padiş. The karst spring resembles a lake, of 7 m in diameter, situated at the base of a stone wall. Known as the most imposing and splendid lime formations in Romania, Cetățile Ponorului (Fortress of Ponor) are built of three large circles of stone (dolines), assembled in an afforested depression. The circles of stone are 300 meters deep and more than 1 km in diameter. The Focul Viu ice cave contains the third largest permanent underground fossil ice block in the country. Around noon, the sunlight enters directly through the ceiling window creating an amazing setting. One of the ice block margins leads into a steep crevasse near the stone wall. It will be an interesting day with trekking and adventure into a world of rocks and ice. The last day...we'll follow a trail who climb to Vlădeasa chalet(1430m) where we can admire the beautiful view. On the last part - a long descending, we'll pass near small villages with ancient houses, large meadows, deep forests. Arrived in Huedin transfer by car in one of the most important cities from Romania: Cluj-Napoca. Visit the city and overnight in the middle of this historical ambient. Private transfer to airport for departure...after 6 days of trekking, caving, crossing gorges and waters, you have to say good buy! You leave behind a fascinating world, almost untouched, a world which you can meet only in another few places in these world! Price for a 6 persons group: 850euro/person: the price includes: private transfer at airport and back, 6 days trekking guided tour, 8 days half-board accommodation and picnic lunch, Romanian souvenir, luggage transfer between days, car assistance.